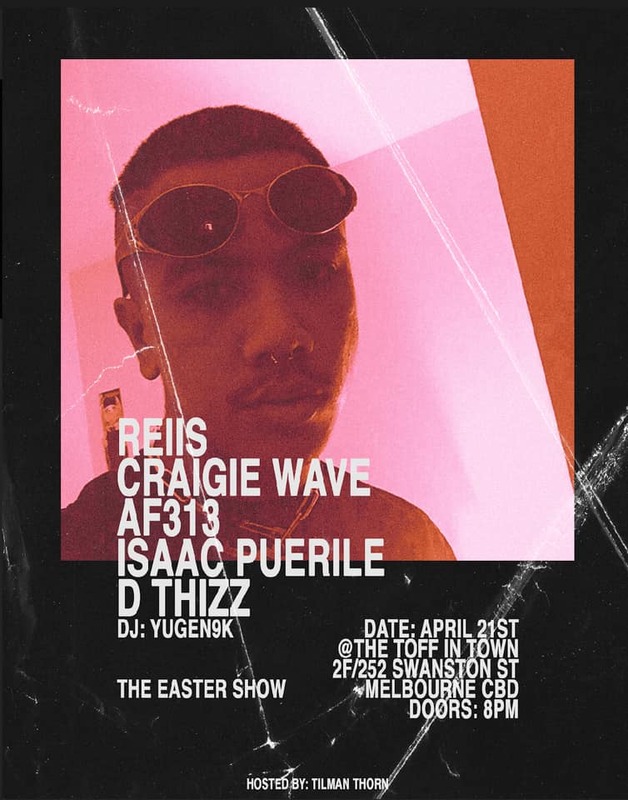 Melbourne rapper and singer, Reiis, will be performing his second Headline Show, this time at The Toff in Town on the 21st of April. Alongside Reiis are his support acts and friends; Craigie Wave, AF313, Isaac Puerile (Sydney) and D Thizz (USA). The announcement follows the release of his latest EP ‘Not So Lonely Anymore’, which was completed soon after the birth of his daughter ‘Euphoria’. As well his more recent, melodic track ‘Baby Teeth’, Reiis’ show at The Toff will be ringing with non-stop energy and excitement. After building reputation for himself in the underground scene since 2016, and almost a year long hiatus, the AF313 member has strayed away from projecting aggression through his work, and has added a far more beloved, euphonic style of music to his artistic variety. Reiis’ latest and most proud repertoire will be showcased during his moment of triumph at The Toff in Town. You can listen to Reiis via all streaming platforms; Soundcloud, Spotify, Apple Music, Google Play and YouTube.